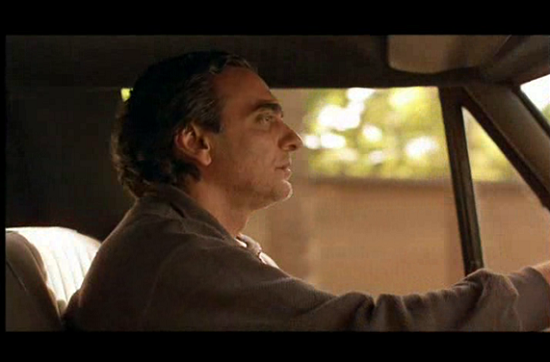 Co-winner of the Palme d'Or at the 1997 Cannes Film Festival, “Taste of Cherry” is the venerable Iranian director Abbas Kiarostami's examination of life, death and the small miracles in between. 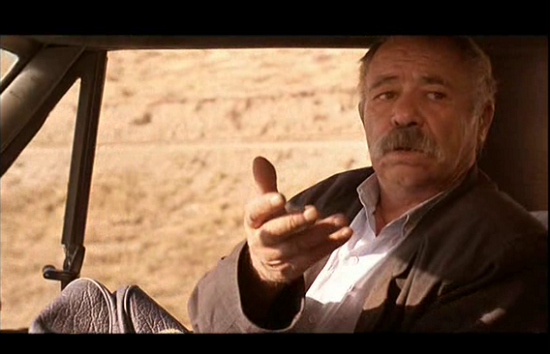 Homayoun Ershadi stars as Mr. Badii, a middle-aged man wishing to kill himself; driving his Range Rover across the arid outskirts of Tehran, he searches for someone to aid him in his final hours, someone who will agree to bury his body if he succeeds in his mission — a planned overdose of sleeping pills — or rescue him if he fails. 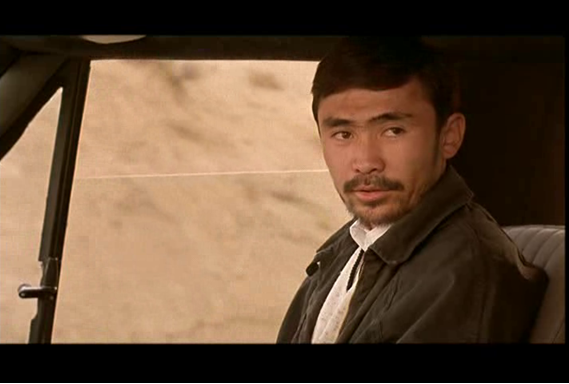 Offering a large sum of money in exchange for services rendered, he first picks up a Kurdish soldier who ultimately flees in fear upon learning of Badii's plan; the next passenger, an Afghani seminary student, instead attempts to convince him of the sanctity of human life. Finally, Badii picks up a Turkish taxidermist at a natural history museum who reluctantly agrees to check the body for signs of life; having long ago contemplated suicide himself, the taxidermist also tries to dissuade Badii from ending it all and urges the glories of nature — the taste of cherries, say — as the prime reason not to kill oneself. Finally he confesses that he is accepting the offer only because he needs the money to care for his sick daughter. The terrain Badii’s Range Rover traverses repeatedly is mainly parched, dusty, and spotted with ugly construction sites and noisy bulldozers, though the site he’s selected for his burial is relatively quiet, pristine, and uninhabited. They arrange that the taxidermist will come to the designated hillside at dawn, call Badii’s name twice, toss a couple of stones into the hole to make sure he isn’t sleeping, and then, if there’s no response, shovel dirt over his body and collect the money left for him in Badii’s parked car. 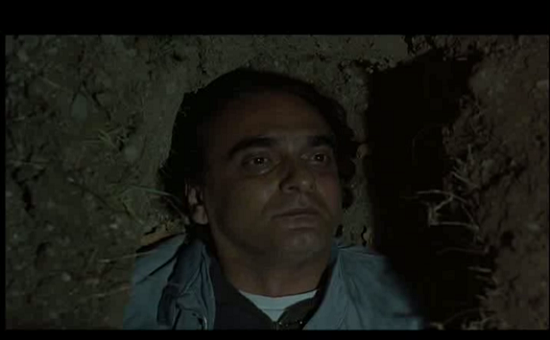 Later that night Badii emerges from his apartment, drives in the dark to the appointed spot, and lies down in the hole. We hear the sounds of thunder and rain and the cries of stray dogs and then the screen goes completely black. 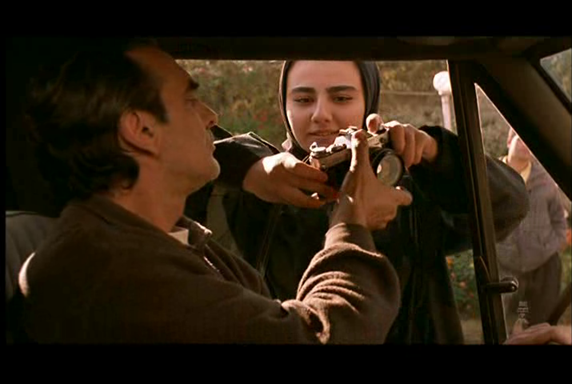 In an epilogue we see Kiarostami at the same location in full daylight, with his camera and sound crew filming soldiers jogging and chanting in the valley below. Homayoun Ershadi, the actor who played Badii, lights and hands Kiarostami a cigarette just before Kiarostami announces that the take is over and they’re ready for a sound take. 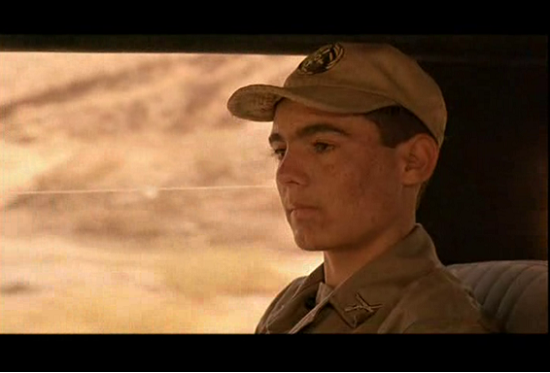 The shot lingers over the wind in the trees, which are now in full bloom, and over the soldiers and filmmakers lounging on the hillside between takes, before the camera pans away to a car driving off into the distance. To the strains of a Louis Armstrong instrumental version of “St. James Infirmary,” the final credits come on. Kiarostami's refusal to answer the film's two most obvious questions — exactly why does Mr. Badii wish to end his life, and does he successfully carry out his plan? — invites viewers to share in his protagonist's plight by triggering their own powers of imagination.